The Georg Jensen Company was founded in Copenhagen in 1904, and has been producing iconic designs in silver for the past 104 years. Georg Jensen is regarded as one of the greatest designers of the 20th century, and one of the greatest silversmiths of the past 300 years. Today, Georg Jensen is one of the best-known brand name silver retail businesses in the world, and is renowned for its timeless 20th century design. However, because of an acute skills shortage, and resulting production restrictions, only a small range of all the original designs produced over the past 100 years by the Georg Jensen Company, is still made today, and waiting times can be long, and prices high. International demand for classic Jensen designs remains strong, and so purchasers and collectors are increasingly turning to the market in Estate (Vintage) Georg Jensen silver, where the choice of designs is far greater, and the prices much more reasonable, and in many cases the quality of the craftsmanship is far superior. The Silver Fund was formed in 1995, to satisfy the international demand for Jensen silver, and has since become the largest dealer of Estate (Vintage) Georg Jensen silver in the world. 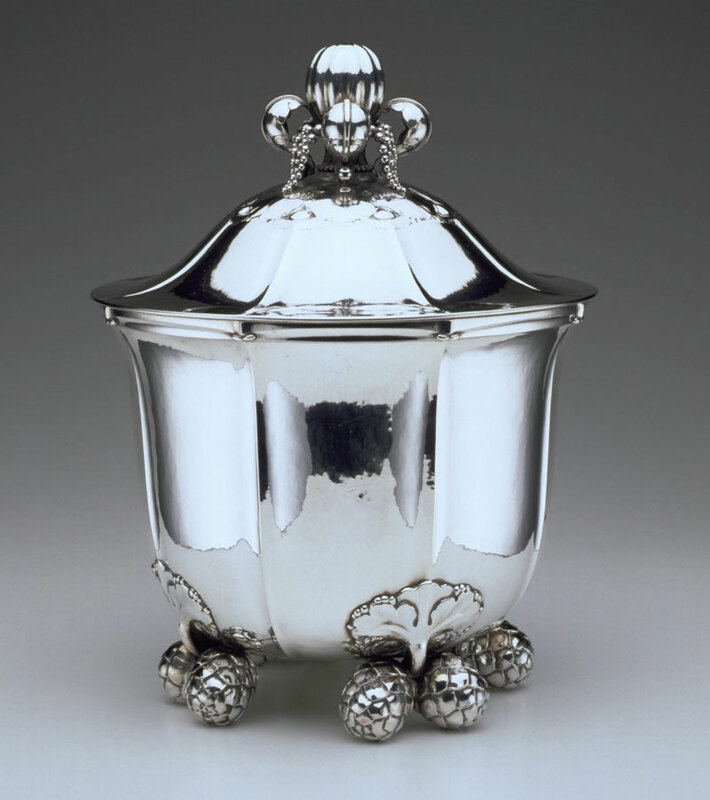 The Silver Fund has a retail outlet in San Francisco because Georg Jensen silver has always been in demand on the West Coast of America, ever since William Randolph Hearst, the publishing magnate, bought almost the entire contents of the Georg Jensen stand at the Pan Pacific Exhibition in 1915, in San Francisco. In addition, The Silver Fund exhibits at, and/or attends all the most important international Antique and Fine Art Fairs, including all the leading Fairs in the USA, where the traditional demand for Estate Georg Jensen silver remains high. Over the past few years, discerning collectors of Georg Jensen silver, have become much more aware of the limited supply and huge demand, which has made collecting Estate (Vintage) Georg Jensen silver a popular activity and a profitable investment. 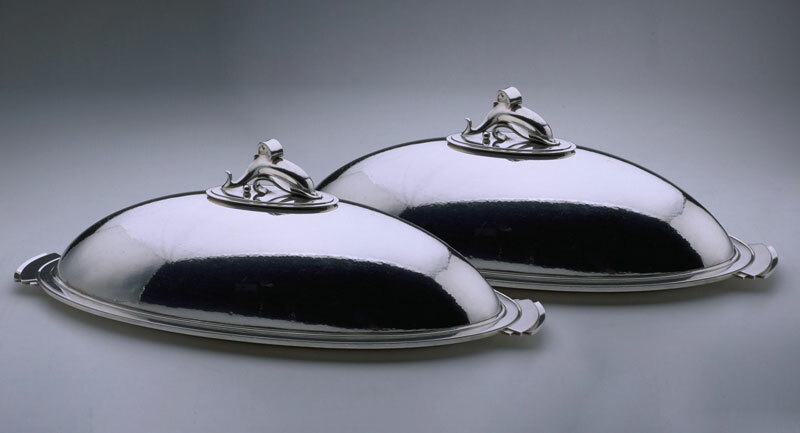 For instance, in the five years between 2000 and 2005, on behalf of a single client, The Silver Fund created one of the best, if not the best, collection of Georg Jensen Estate Silver in the world. Known as: ‘The Rowler Collection’, after Rowler Manor in the UK, the owner’s house where the collection was housed and displayed, it fetched just under $10 million when it was sold at Auction on 19th January, 2005, at Christie’s New York; three times the estimated value! 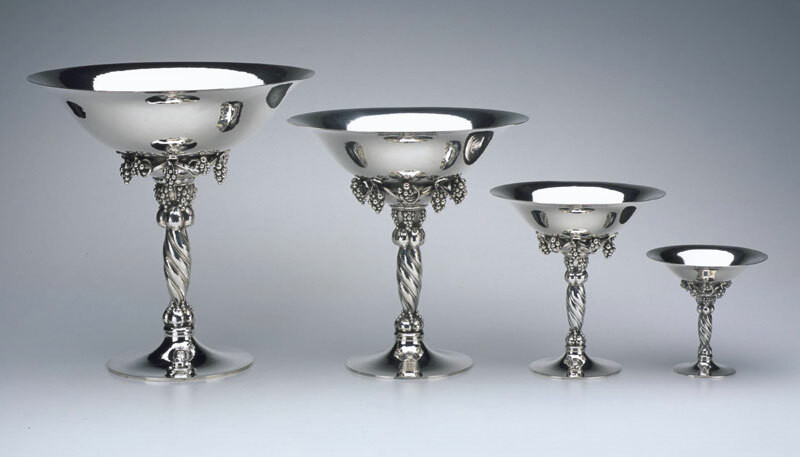 As Michael James, the Managing Director of The Silver Fund, said at the time: ‘I don’t think there is any silversmith that could have sustained a 400-lot sale in one session and achieved triple the estimates’. It is worth reading the article from The Financial Times ‘How to Spend It’ Magazine, dated 6th February, 2006, ‘Past Masters – Second Hand but not Second Best’ which describes how Georg Jensen’s uber-collectable designs were so ahead of their time that they still look contemporary. This article explains that, because Georg Jensen silver represents most of the 20th century’s great styles, it appeals to a wide range of international collectors. A more recent article in San Francisco Magazine (2007), entitled: ‘20th Century Style Makers and the Collectors who love them’ confirmed Jensen’s iconic status, by using a suite of Georg Jensen Estate silver as the title illustration. The iconic Georg Jensen pieces featured are owned by one of the founders of Google, who is a client of The Silver Fund, and other lenders to this Exhibit included the Getty and Dupont families, so The Silver Fund was in good company. 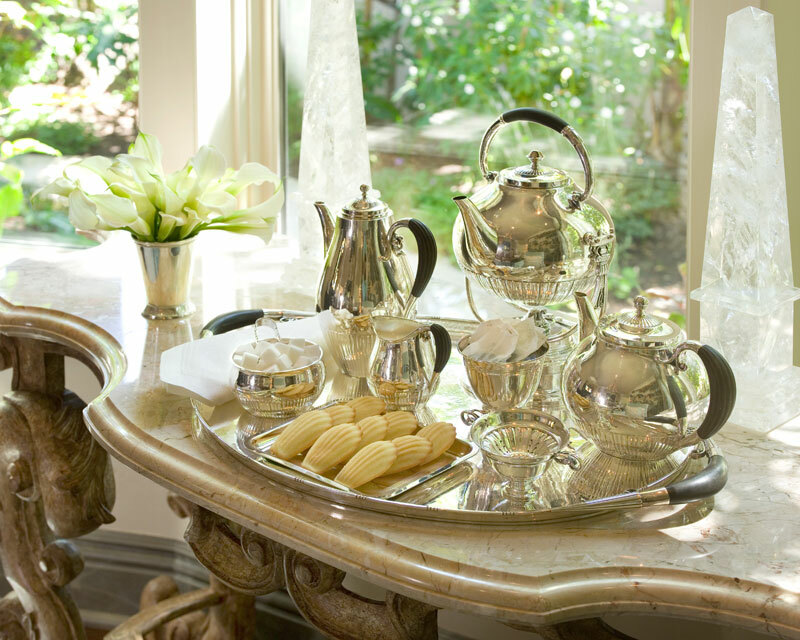 The timeless quality of Georg Jensen has always appealed to the rich and famous, and the media barons and entrepreneurs of each generation, starting with the US newspaper magnate William Randolph Hearst. He fell in love with Georg Jensen silver at the Pan Pacific Exhibition in San Francisco in 1915, and scooped up most of the collection on display, which was then spirited away, to be displayed at his castle at San Simeon. Similar collections of Jensen silver grace the homes of some of today’s richest and most successful business people and such is the demand for the most iconic designs, that the Silver Fund boasts having as its clients eleven out of the one hundred richest families in the world including a clutch of IT and dot.com billionaires, senior partners of Goldman Sachs and other investment banks, leading venture capital companies and some of the most successful Silicon valley entrepreneurs. Michael James’s address book contains at least fifty of the richest people in the U.S.A. and he enjoys their company socially. He is their friend and confidante and is treated with considerable affection by them because they recognise his extensive knowledge of his subject and his natural ‘feel’ for things of beauty and their intrinsic beauty. He spends his life travelling the world searching for the, as yet, undiscovered little gems by Georg Jensen. The founder of the Georg Jensen Company was a child of the arts and crafts, and art nouveau movements. His passion for nature led him to conceive silver services where grapes, pine cones, blossoms and berries run riot across forms that, like the species that inspired them, seem ready for new fronds or flowers to unfurl at any minute. From a Collector’s point of view the most sought-after items are some of these early designs, and that’s because they are so recognisably Georg Jensen. Equally extraordinary however, was Jensen’s ability to harness the talents of the best artists of his time in the constant re-invigoration of the firm’s production. And, in yet another break with tradition, Jensen allowed his designers to retain their own identity, marking pieces not only with the firm’s imprint, but also with the initials of the designer. Consequently, Jensen’s silverware sits well in any contemporary setting. It is ‘usable’ in the modern context, and there is a stylisation that relates to what people are looking for today. Indeed, the fact that many of the firm’s original designs remain in production is evidence of their continuing validity. However, those pieces dating from the time when they were designed (i.e. Estate Georg Jensen) are ultimately more likely to be the most valuable. A newer piece may be more sharp and crisp, but an older piece in great condition is going to be the best investment, because it is important, from a collecting point of view, to buy a piece from the period when it had real relevance. 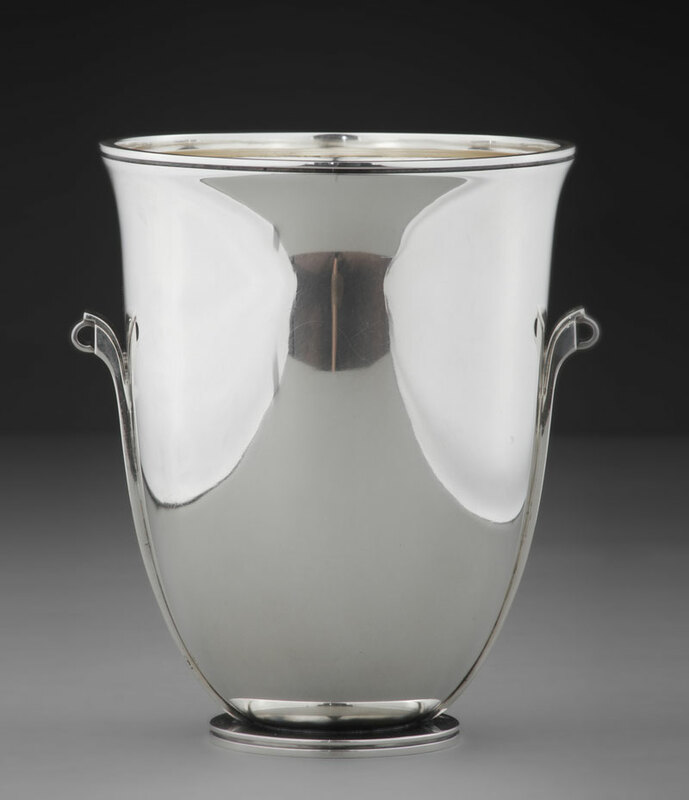 There is considerable potential for a serious collector with the necessary resources, to amass one of the finest collections of Estate Georg Jensen silver in the world, with the help and advice of the Silver Fund Limited, who have done this for a client collector once before and so know where most of the important pieces are! For instance, at the Auction of the Rowler Collection in New York in 2005, Michael James was retained by another avid Jensen collector, and Silver Fund client, to advise him on the judicious purchase of pieces from the sale, which he did not already have in his own collection. So this sale, by one client of the Silver Fund, enabled another client to acquire a number of important items to enhance and fill the gaps in his own collection, and the potential still exists to repeat this process. 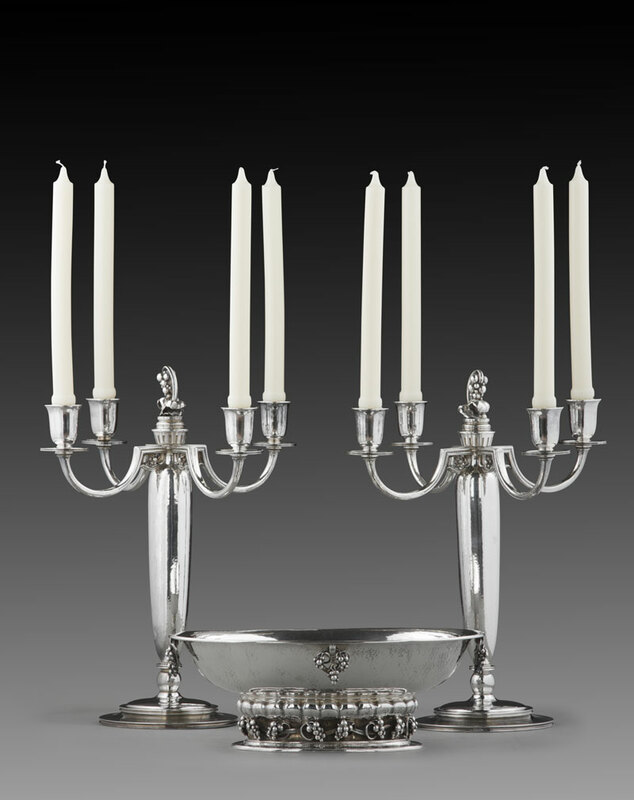 Michael James also bought many other lots for The Silver Fund’s own inventory, safe in the knowledge that he had many other clients looking for these items, so the entire sale process stimulated the market and redistributed a large number of iconic pieces of Estate Georg Jensen silver, thereby enhancing other collections into the bargain. The popularity of Georg Jensen silver is now extending to the fast expanding, newly emerging, boom economies of India and China, although it has always been popular in Hong Kong and Japan, as well as the Far East generally, and the new rich of these economies are embracing the unique style and timeless qualities of Jensen silver. So there is an increasing international appetite and demand for Jensen silver, which can only be satisfied by accessing the market for Estate or vintage Georg Jensen silver, which is the particular strength of The Silver Fund. The Silver Fund, because of their specialist knowledge and extensive international network of contacts, are probably the only people in the world who can enable a collector to achieve the goal of building a truly representative collection of Jensen silver. They relish the prospect of putting their knowledge, experience, and contacts, to the test! The Silver Fund website is at: www.thesilverfund.com which shows the wide range of Estate (Vintage) Georg Jensen silver on offer, and you can also download and print the article from The Financial Times, ‘How To Spend It’ Magazine, issue dated 6th February, 2006, and other articles about The Silver Fund and Georg Jensen silver. This is an extremely good explanation of the abiding appeal of Georg Jensen’s iconic designs, and the international appetite for Estate (Vintage) Georg Jensen silver. The Silver Fund has also published a beautifully illustrated book called: Georg Jensen Holloware – The Silver Fund Collection, which celebrates the great artistic achievements of the Georg Jensen silversmithy, the world-famous firm founded in 1904 by this brilliant Danish designer and silversmith. Presented in this book in stunning colour photographs are hundreds of pieces of Georg Jensen holloware, many of great rarity, including silver bowls, boxes, beakers, candelabra, chandeliers, clocks, dishes, pitchers, tea sets, trays, and other items. These items represent a ‘wish list’ for any serious collector. These items are drawn from the collection of The Silver Fund, the world’s foremost source of Estate Georg Jensen silver, and represent the very best of Jensen’s designs, arranged in chronological order, enabling the reader to follow the evolution of design within the firm, and appreciate the contribution of its many innovative designers. There is a wealth of information about every piece, including design number, production date, dimensions, and weight. This book is the ultimate reference book of Georg Jensen hollowware, but he also produced a wide range of elegant flatware (table cutlery), and beautiful Jewellery.